Built for grease duct cleaning, the CombiCleaner 15 is the perfect fit for cleaning small kitchen exhaust ducts or cramped spaces in residential, or office buildings. CombiCleaner 15 is designed with a pneumatic motor for brush rotation that provides a fast and deep cleaning for your ducts. 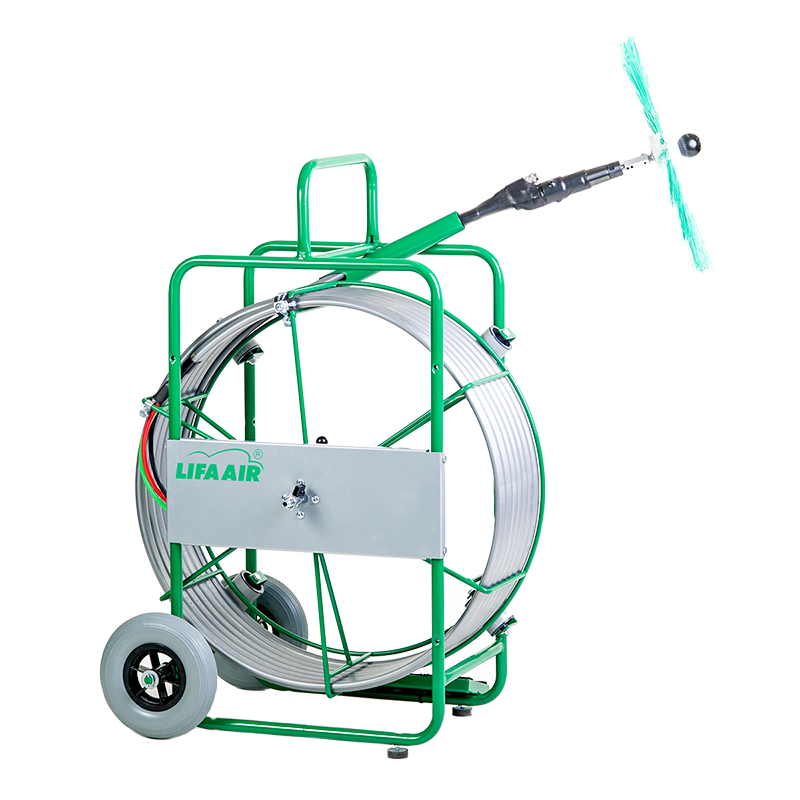 Based on the same high quality components used in other Lifa machines; proven functionality and durability. The CombiCleaner 15 is built to last and will remain functional after the most intense cleaning jobs. The CombiCleaner 15 brush rotates using a pneumatic motor. The Y-gear is required for roating bother brushes in rectangular air ducts. Minimum power required for running two brushes is 340 l/min at 7 bar. The CombiCleaner 15 cleans using a combination of brushing, air-jetting and liquid spraying through its integrated hose. Every brush from Lifa Air is compatible with the CombiCleaner 15. From soft brushes for handling everyday dirt to harder brushes for more heavy duty work such as kitchen grease, the CombiCleaner 15 is up to the task.